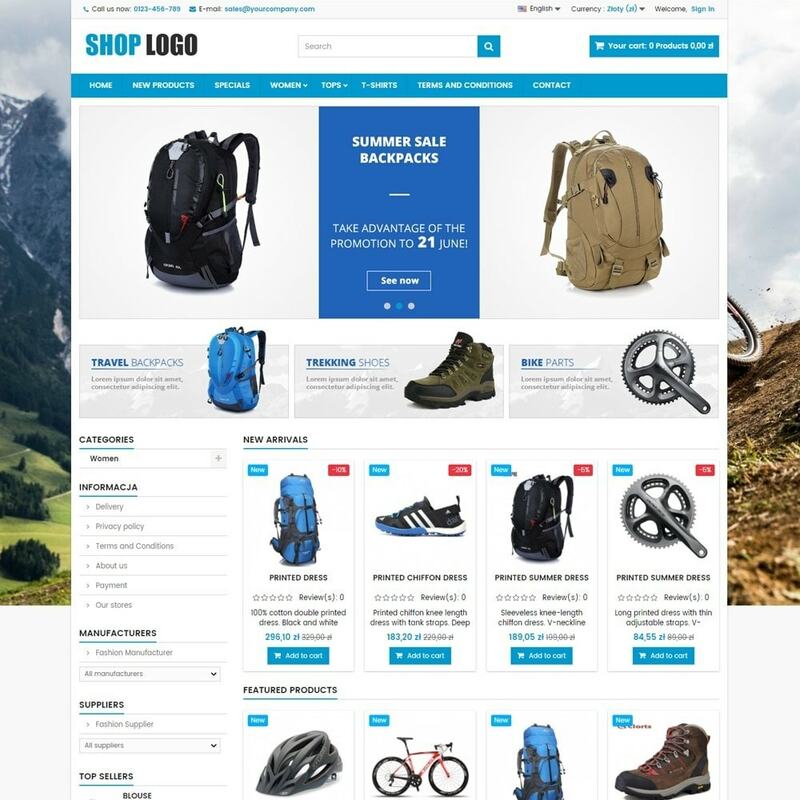 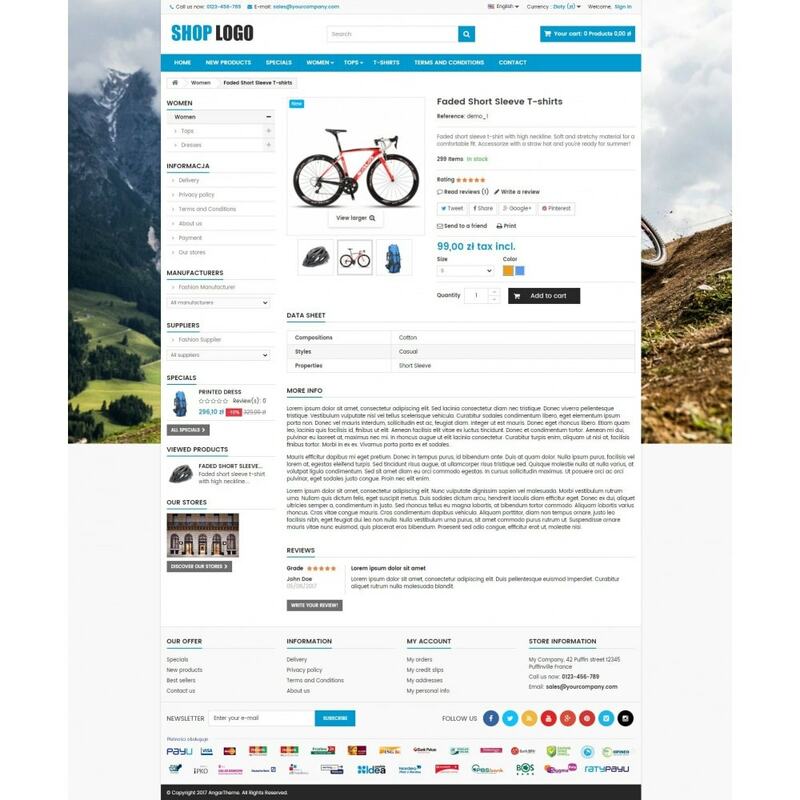 P16AT03 Bikes, sport and travels store is designed for bike parts, sport and travels equipment stores. 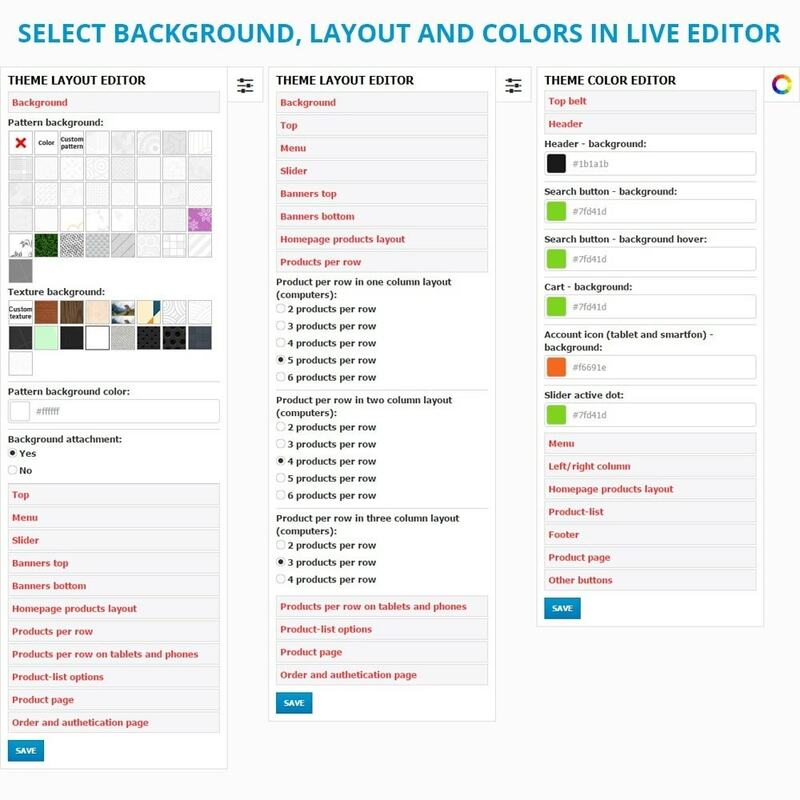 This theme has built-in powerful live preview theme configurator in which you can customize the theme to your needs. 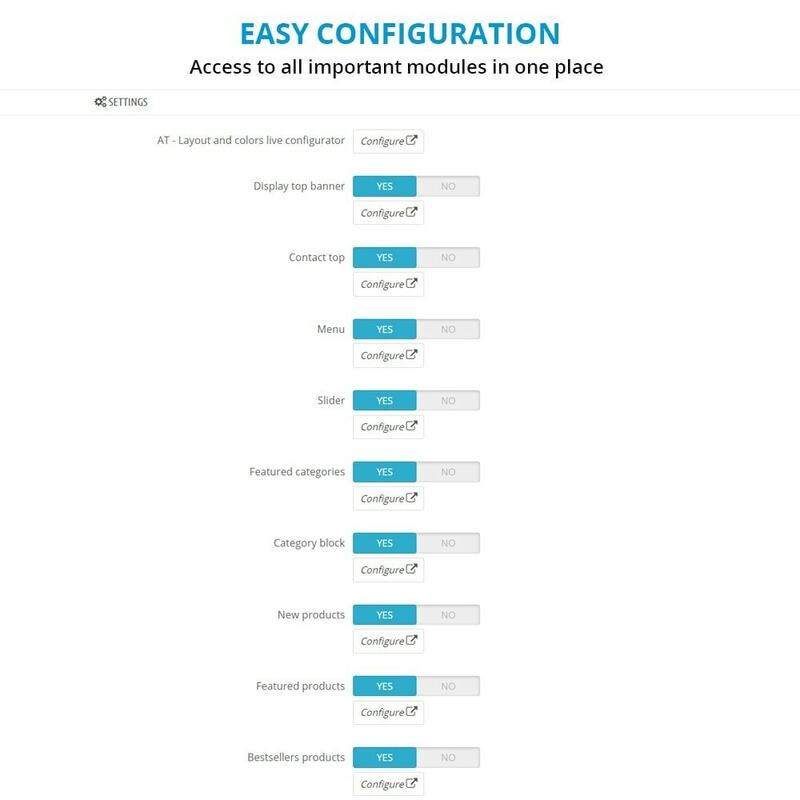 You can also select in backoffice 1, 2 or 3 column layout and product quantity displayed in modules on homepage. 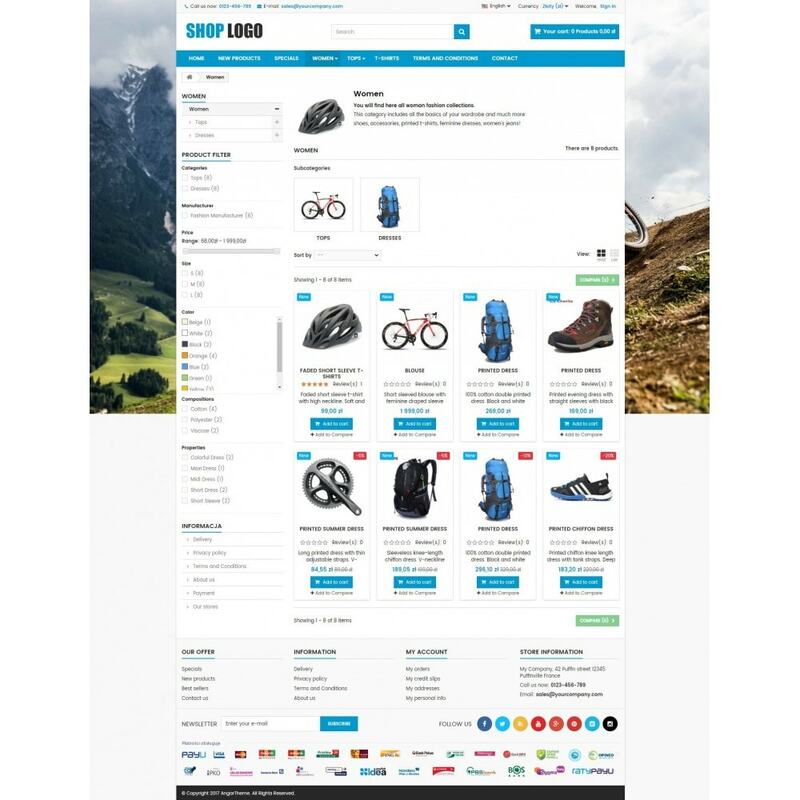 Save a lot of time by editing your product and combination prices quickly and efficiently.This module provides a quick view of all your products and combinations enabling inline price editing for massive price changes. 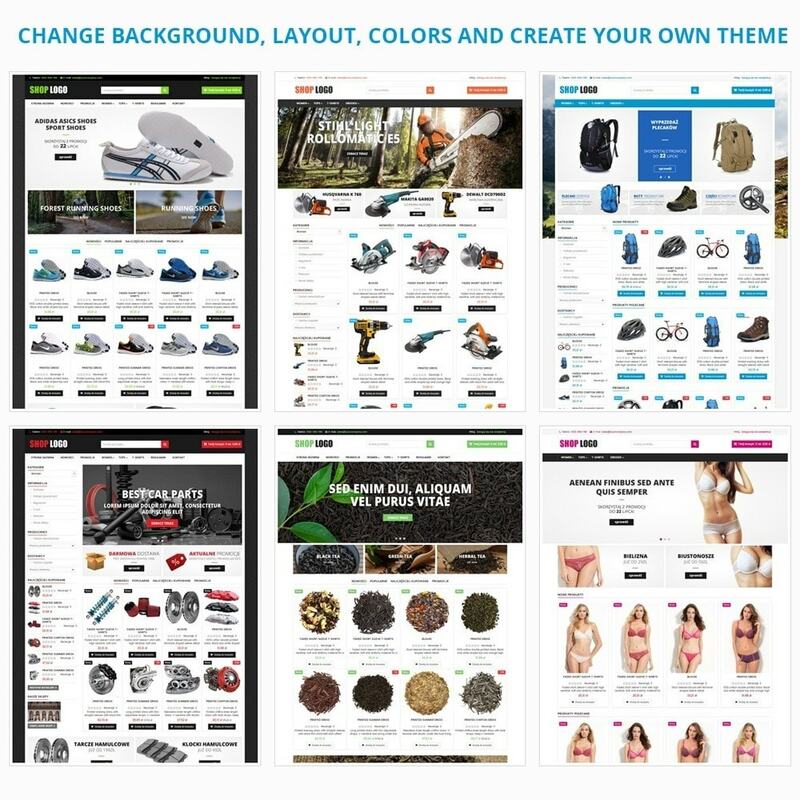 You can easy install theme from Back office, just follow documentation. 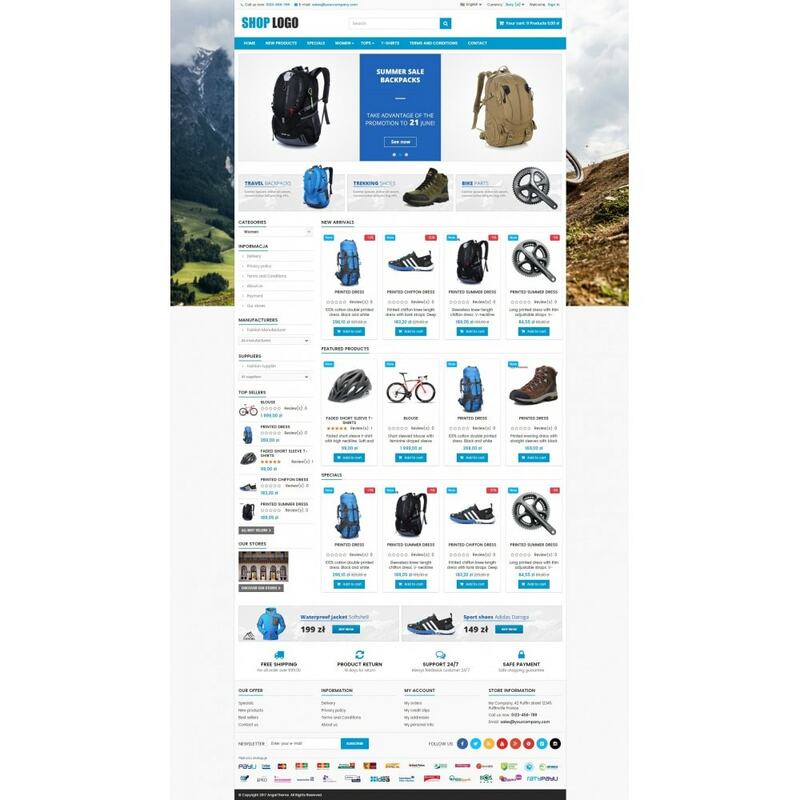 Remember to download documentation after purchase.